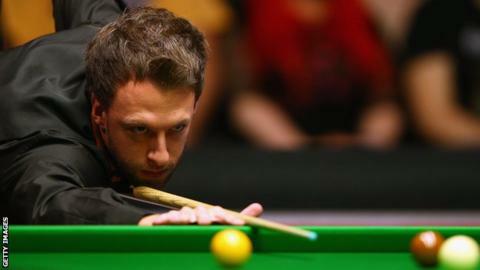 World number seven Judd Trump beat world champion Stuart Bingham 6-3 to reach the Shanghai Masters final. Both players exchanged century breaks in a high quality first session that ended level at 2-2. But Trump, 26, won four of the last five frames to clinch the best-of-11 match against the defending champion. He will face world number 54 Kyren Wilson in Sunday's final after the 23-year-old thrashed Mark Allen 6-1 to reach his first ranking final. The Englishman from Kettering prevailed in a black-ball finish in the opener and breaks of 73, 68 and 60 helped him into a 5-0 lead. Northern Irishman Allen avoided a whitewash by taking the next but Wilson held his nerve with a 50 break to wrap up victory.